Nothing has captured the imaginations of millions quite like the Star Wars franchise, and here it appears Kylo Ren alludes to the weight these films carry. It captured the awe of audiences, broke box office records, and inspired millions. From A New Hope to a new era with Disney, Star Wars has and will continue to be a cultural phenomenon in the years to come. However while the previous films did help establish the world as a whole, they also held the franchise hostage and damaged its continuity. The newest film in the series, The Last Jedi was not perfect, it missed the mark on some things, such as forced subplots and things that defied logic. However, it deserves praise for bravely adventuring into new territory and taking risks rather than using the same formula of the previous films. The first film in the new era, The Force Awakens, helped reinvigorate the franchise with its fun, action-packed story. However, while many enjoyed it, I thought it was a rehash of storylines from the older films. This disappointed me as it made me wonder whether or not the new Star Wars films could retain some sense of originality. But much to my relief, the latest film in the series, The Last Jedi, preserved the originality that made the original films great, taking the franchise in exciting new directions. Many viewers took issue with the film’s seemingly ambivalent attitude toward the conspiracy theories that developed following The Force Awakens, which had occupied fans for months before the release of The Last Jedi. The Force Awakens succeeded in reenergizing the series, with an array of exciting new characters, all of whom had mysterious backgrounds or origin stories only hinted at by the first film. This led to the creation of multiple fan-made theories regarding the origins of its characters; however, Johnson seemed to not pay much attention to what the fans were clamoring for and instead chose to crush most of the fan created speculation. He subverted everyone’s expectations, starting the movie with Luke throwing his own Lightsaber over his shoulder, to the reveal of who Rey’s parents were and the death of Snoke. 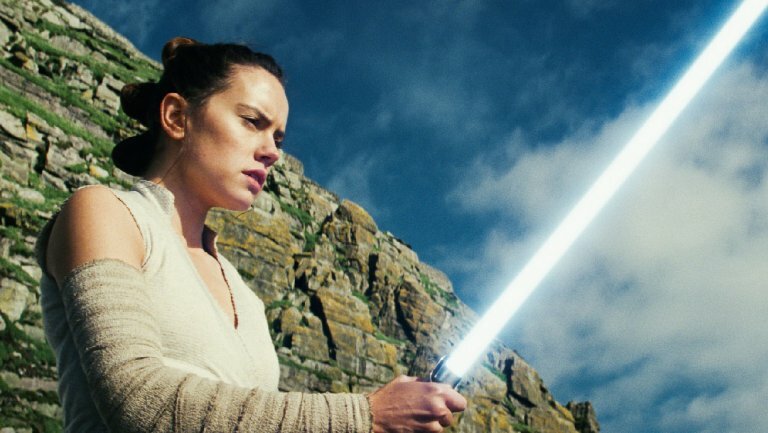 I thought Johnson’s decisions were a stroke of brilliance, as ultimately the circumstances surrounding who Rey’s parents are or who Snoke is adds little to the two characters that should be the focus of this franchise, or at the very least should have no bearing on this new set of characters. Destroying much of this speculation allows the series to fully dedicate itself to developing the story of Rey and Kylo, rather than bogging itself down in origin theories. Furthermore, establishing Rey’s parents as random civilians with no ability to wield the force helps to restore the longevity of the series. It extends the ability to wield the force to ordinary people; it is not a power reserved for Skywalkers and Solos. This film also succeeded in bringing to light the motivations of the characters, showing how the duality of the force, specifically how the dark side and the light side can conflict, and how that has shaped the characters. Whether it was Luke scared of the consequences of showing someone the force after leading Ben Solo to become Kylo Ren, Rey trying to understand herself and remain whole and strong, or Kylo Ren’s internal conflict and ultimate turn to the dark side, it fully consumed these characters and showed what their true motivations were. For Rey and Kylo, it helped many come to the painful resolution that they are destined to be apart, no matter how hard Rey tries to see Ben Solo’s good side. Ultimately, Ben realizes he must fight on his own terms, and that because no one will see the good inside of him, he must become what he is meant to be. The best part of this sequence, particularly how many of the people at the casino were able to earn the money, was woefully underexplored. One complaint I have about this film is the awkward relationship between Rose and Finn. While at the time I enjoyed it, their storyline felt slightly pointless in the grand scheme of the movie. In traveling to a casino to find a master code breaker, they inevitably ended up force feeding a subplot about animal abuse that felt out of place. The best part of this sequence, particularly how many of the people at the casino were able to earn the money, was woefully underexplored. The only business in the galaxy that can make you rich is war, and this should have been examined more deeply, especially for Finn — someone who has been on both sides of the war. The fact that these people were making fortunes by selling to both sides of this war should have made his blood boil. Who is this war really for? Is this war about the fate of the galaxy, or for the rich and powerful profiting at the expense of others? How consequential is all of this anyway? These questions should have been further explored, and left me feeling slightly unsatisfied with this storyline. These themes echo war today, and it would have been powerful to explore further. However in spite of this, The Last Jedi is a winner, as it chose to look toward the future rather than be handicapped by nostalgia. It took the franchise in new and bold directions, and helped further the continuity of the franchise for generations to come. With that being said, there will always be disagreements. Many fans notably disagree with me and many critics. I’ll end on the fact that directors are forced to make choices that have consequences, both positive and negative. It is okay to disagree and have issues with a piece of art; however, it is important to understand that these directors are being given the freedom to pursue their own creative interests rather than be beholden to books and lore of the past. This, unlike many popular blockbusters today, allows for true creative expression rather than simply pretending to do so.Disney and Lucasfilm should be applauded for this bold creative endeavor, and I hope that they continue to do so in the future.